Dedicated Registered Nurse with 5+ years experience in a Level III NICU providing nursing care to neonates and their families and 2+ years experience in a Long Term Acute Care hospital providing patient care to chronically ill patients. Provide primary care, assessment, and evaluation of 1 to 4 assigned critically ill neonates ranging in age from 23 to 40+ weeks gestation. Assisting physicians and nurse practitioners with many bedside procedures. Identify and maintain staffing needs within unit as a charge nurse. 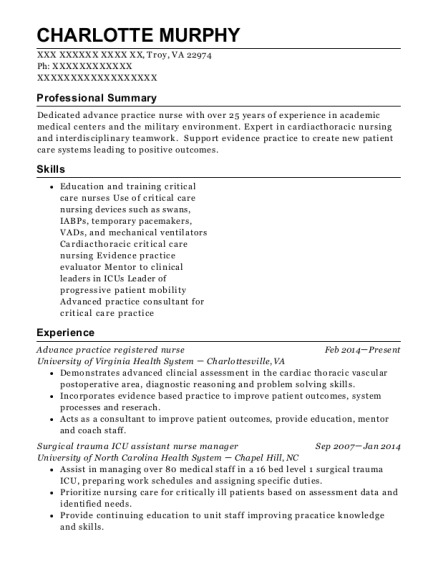 Functions as a preceptor and mentor to new and inexperienced nursing staff. Provide patient care in a Long Term Acute Care setting, adeptly handling all aspects of treatment from medication administration to wound care to monitoring for 3 to 5 patients per shift. Work as a member of a multidisciplinary team to provide progressive patient outcomes. Delegate patient care to PCT's. Provide complete assistance with activities of daily living to chronically ill patients within a Long Term Acute Care setting. 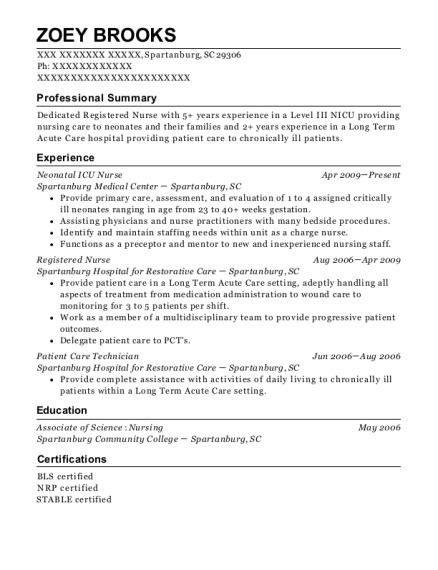 This is a resume for a Neonatal ICU Nurse in Spartanburg, South Carolina with experience working for such companies as Spartanburg Medical Center and Spartanburg Hospital for Restorative Care. 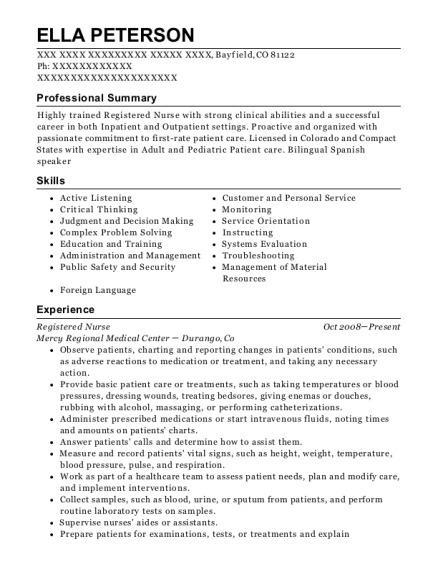 The grade for this resume is 0 and is one of hundreds of Neonatal ICU Nurse resumes available on our site for free. 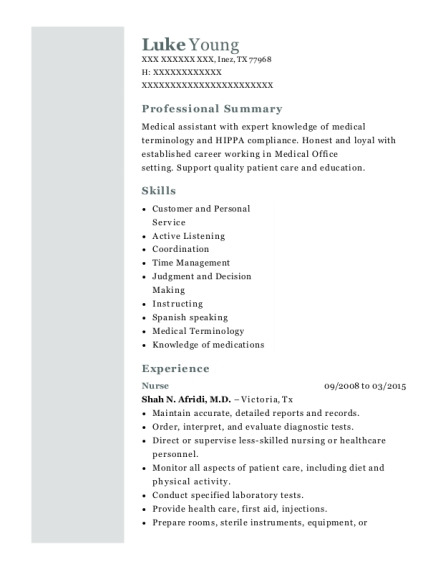 Use these resumes as templates to get help creating the best Neonatal ICU Nurse resume.